This is another one from the Circus Animal Series that I was posting a few weeks ago. I completely forgot that I still had a few more Animals left to post! 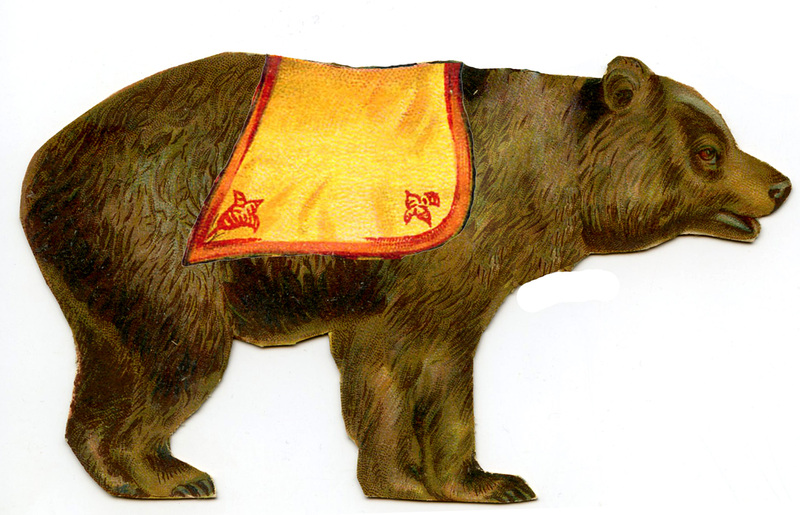 This one is a gorgeous Big Brown Bear with a Satin blanket on him. I actually altered this one quite a bit, he had an awful looking heavy metal collar on, with a giant chain, it made him look so sad, so I removed it and added the blanket. I think he looks much nicer this way! thank you for removing the collar and chain. Yes, thank you for doing that. It looks terrific, and I’m sure the bear is a lot happier! 🙂 Love your site, and thanks for all the vintage clip art. I’m afraid the image is not able to be enlarged when you click on it. I love these circus images…as well as most of the images you post. Thanks for sharing, Karen. I couldn’t enlarge it, either. Thanks for all the images you post. You know I love your stuff! Thanks for letting me know that it wasn’t enlarging! I just fixed it! Must have been a little glitch on Blogger last night. Thank you for removing the chain! Do you have him without the blanket? That would be great for woodland scenes? Thanks for your fantastic website! 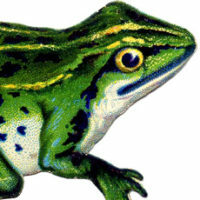 I love the vintage animals and birds. I agree with your posters that they would look better without the circus garb, or birds in cages. Some things vintage isn’t always better! Any woodpeckers in the house?? Certainly appreciate your time and efforts! I dared to hope for a bear… and here he is! to the other animals then if he were in chains! Do you actually have a image of a two headed circus horse? I would love to use that. I couldn’t find it. Thank you for all that you do. So glad the practice of keeping these “dancing” bears is dying out. It’s still done in a few places where they steal cubs from their moms, then yank out all of their teeth, rip out their claws (much the same way as declawing a cat, but without anesthetic, so it’s even more horrific), put a ring through their nose that is purposely kept raw and infected so pulling on it gives the so-called “trainer” control over the bear. In many cases, they also burn their front paws so that they will “dance”, walking on their hind legs because it hurts so much to stand normally, on four legs. Thankfully there are a lot of people working to get this practice stopped, to rescue these bears, heal their wounds, and give them sanctuary away from crowds and gawkers. I have no nostalgia for the circus. It’s still a big mess, but thankfully things are moving more toward animal-free circuses. Sometimes these old images just make us thankful for how far we’ve come…though in this case, we’ve got a lot further to go yet. Someday we’ll look back at the circuses that still use animals today and wonder how we could have ever been so brutal.